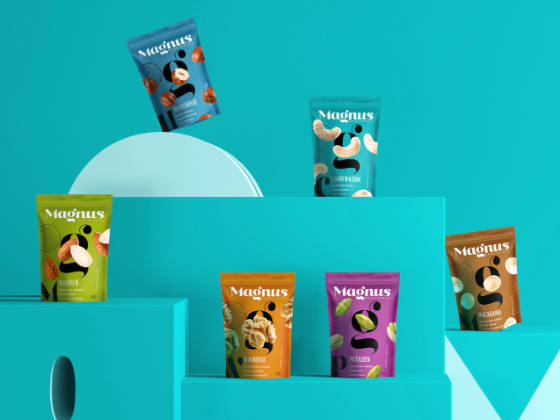 Magnus nuts are the ideal snack for in between - whether as a brain booster or pre-workout snack. But you don't want to have the usual nut packaging in your stylish sports bag and certainly don't want to post it on Instagram. 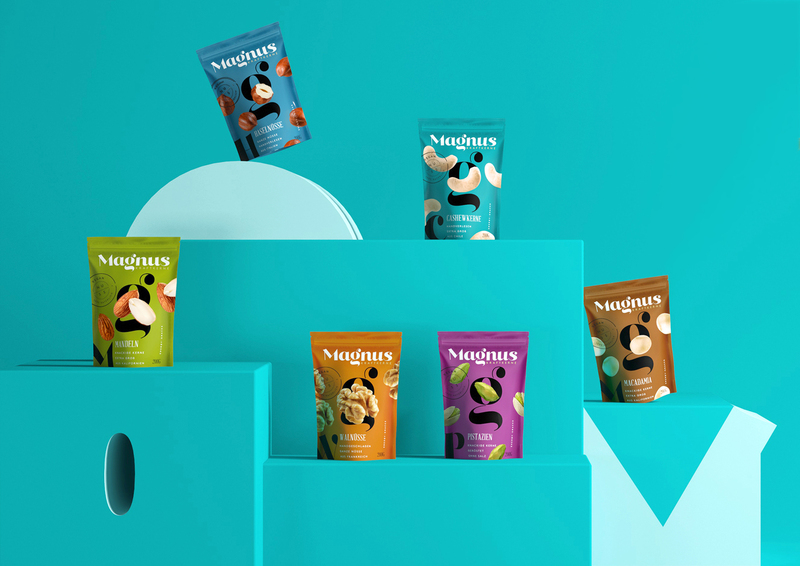 Our design has style - is colourful and really tasty. And in the nut shelf a real eye-catcher. Colourful and casual, like sporty sneakers. 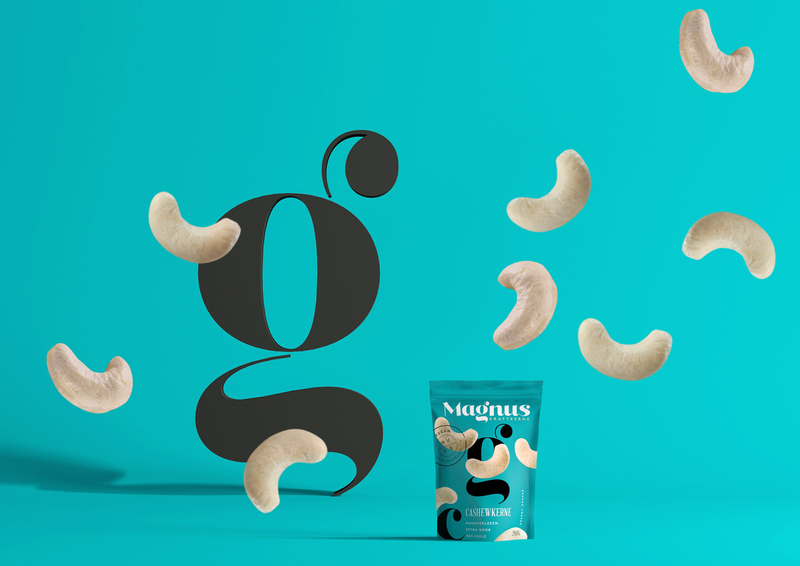 Trendy colours as a stage for delicious nuts that fly around elements of the logo typography. A striking seal of quality distinguishes the product and promises the best quality. 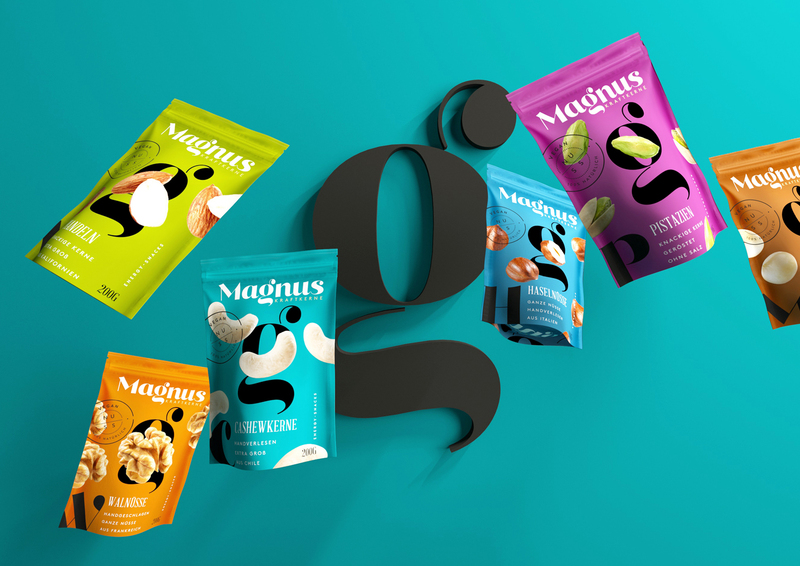 "media-related self-presentation" - fitness coaches, influencers and their followers will love Magnus.